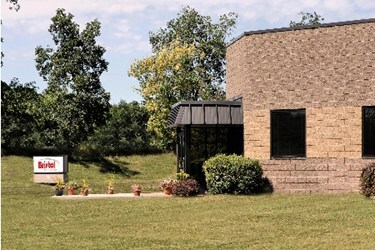 Bristol Instruments, Inc., a leader in optical interferometer-based instrumentation, recently announced that it has moved its headquarters to better accommodate the company’s growing business in the scientific research, fiber communications, and optical metrology markets. The new 5,000 square-foot facility at 50 Victor Heights Parkway, Victor, NY 14564 will more than double manufacturing space to meet increasing demand for its products. The development of new products will also be accelerated with larger laboratory space. Bristol Instruments designs, manufactures, and markets precision instruments based on its expertise in optical interferometry. Bristol’s flagship products accurately characterize the wavelength and spectral properties of lasers used by scientists and engineers at universities, government laboratories, and industrial laboratories. They are also used for the development and production testing of laser transmitters used in optical fiber communications. In addition, Bristol Instruments provides interferometer-based products to reliably measure critical physical dimensions of materials such as specialty plastic films, medical membranes, and ophthalmic products. “Our new facility will not only help us satisfy the manufacturing needs for our wavelength meter and spectrum analyzer products,” said John Theodorsen, Vice President of Operations at Bristol Instruments. “It will also ensure the efficient roll out of new products such as the 157 Series Optical Thickness Gauge that was introduced at Photonics West in February.” For more information, visit www.bristol-inst.com.